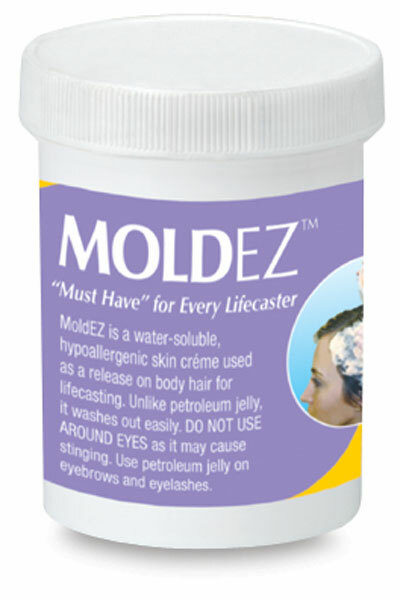 Use this water-based release cream instead of petroluem jelly on the skin and all body hair. It washes out the first time, unlike petroleum-based jellies. Work a generous amount into the hair and then comb. You can cast an entire head of hair. ® ArtMolds is a registered trademark.™ MoldEZ is a trademark.